Keeping your CPAP machine and all of its equipment and accessories clean can help to ensure optimal sleep therapy effectiveness and your health. 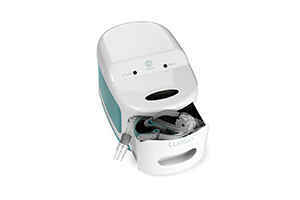 Other than the actual CPAP machine, the CPAP cleaner is one of the most essential pieces of your CPAP therapy regime. Disinfecting your fear is critical. By going through the sanitization process, you remove all unwanted particles that can get trapped in your CPAP equipment. These bacteria or germs can cause colds, increase congestion, or cause even more severe issues. With the correct CPAP sanitizer, you can be reassured that every sleep will result in the best rest possible. How Various CPAP Cleaners Work. The two primary disinfecting practices are used by the significant CPAP sanitizing companies today. The devices either use the cleaning abilities of ozone or the sterilization properties that are found in Ultra Violet light. Both methods can eradicate any germs, molds, fungus, or viruses that could be living in your CPAP gear. Ozone, more commonly called activated oxygen, is a volatile gas that is often used to sterilize medical, scientific, and food prep areas. 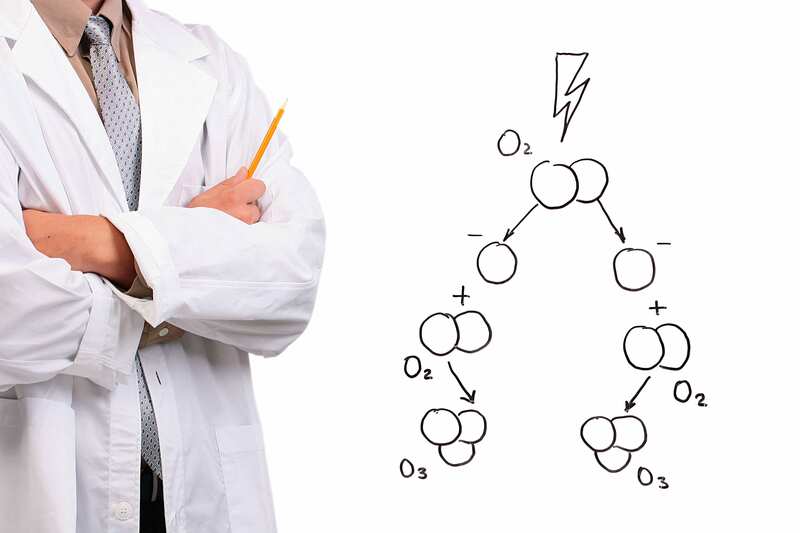 Ozone is normal oxygen that we breathe with an added oxygen molecule. Once that extra molecule has been attached the standard oxygen gains the power to damage cellular walls on most living things. Using this gas, ozone, at a high enough concentration, it can eliminate all bacteria, molds, viruses or even fungus that it encounters. By having you connect your CPAP equipment to a device that pumps ozone into a chamber, it allows the amount of ozone in one area to reach the concentration levels that it needs to kill 99.9% of all unwanted contaminants. Ultra Violet Light, also known as UV, is a type of light that can be found in the sunshine. At a more concentrated strength, UV light can be used to sanitize equipment in many fields of work. Some hospitals, dentists offices, food prep factories, and scientific laboratories use UV to help disinfect all of there tools and work areas. Ultra Violet light works by destroying bacteria, mold, and fungus on a cellular level. The light damages the cells in a way that prevent them from reproducing and causing them to die. The devices that utilize UV light have a chamber where you can place your CPAP equipment and other household items that will fit. Once the different pieces of equipment are inside the disinfection area, and the lid is shut, the compartment is flooded with a high concentration of the UV light. That light shines on all of the items in the container for the entire sanitization cycle. At the completion of the cleaning, each piece will be 99.9% free of unwanted bacteria and germs. There are four primary CPAP cleaners on the market today. They are the Lumin, VirtuClean, SoClean, and the SoClean 2. They all do a similar task. Each one sanitizes all or part of your CPAP equipment. It can be hard to decide which CPAP disinfector to use. Here we have compared each of the different devices to the other. The Lumin and the SoClean are as different as they are alike. They are both CPAP cleaners, and they have similar inner chambers. Both devices can disinfect your CPAP’s mask, tubing, and water reservoir. Your HSA or FSA can reimburse you for the purchase of either of these CPAP cleaners, but there is where the similarities stop. Below is a side by side assessment of how the devices are different. The Lumin and the SoClean 2 are similar in the fact that they are both CPAP sanitizers. Each unit has an inner chamber where you place the different items that you want to disinfect. Both devices can sanitize your CPAP’s mask, tubing, and water reservoir. Your HSA or FSA will reimburse you for the purchase of either of these CPAP cleaners. Those are almost all the similarities between the two CPAP cleaners. Below is a side by side comparison of how these machines are dissimilar. The SoClean 2 is a new and updated version of the SoClean. As you would expect, the SoClean 2 has all of the same features of the SoClean with a few new added abilities. Unlike the SoClean, the SoClean 2 includes an updated user interface. This will allow the SoClean 2 to be more user-friendly and more accessible for the average person to utilize. The SoClean 2 also has a smaller footprint. This means that the size of the SoClean 2 device is not as large on the base as the SoClean. Lastly, the SoClean 2 comes equipped with indicator lights that allow you to know precisely where the CPAP sanitizer is in the process of getting your gear ready for use. Though the two appear very different and have a few small variations, the SoClean, and the SoClean 2 work identically. You can still sanitize almost any CPAP mask, headgear, hose, or mask with both. 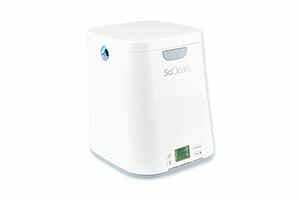 You also attach the SoClean and the SoClean 2 to your CPAP machine in the exact same manner allowing you the same ease of use with the old and the new model. Both units take an equal 7 minutes for the sanitization cycle and an equivalent 120 minutes for their resting period. Both devices clean by the use of ozone as well as both having filters that have to be replaced over time. Unlike the SoClean 2, the SoClean is no longer being produced. The VirtuClean and the Lumin are comparable devices because they each disinfect CPAP. Both units have a chamber area where you place the different items that you want to purify. Both methods can sanitize your CPAP’s mask, tubing, and water reservoir. Your HSA or FSA can offer you reimbursement for the purchase of either of these CPAP cleaners. In contrast to those similarities, below is a side by side contrast of how these machines are unlike one another. 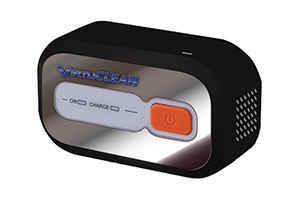 The VirtuClean and the SoClean are alike because they are both machines that can clean CPAP equipment. Each unit has a chamber area where your different CPAP equipment can be placed for disinfection. The devices can sanitize your CPAP’s mask, tubing, and the humidifiers water reservoir. Your HSA or FSA accounts can provide you with reimbursement for the purchase of either of these CPAP cleaners. Even though they have those similarities, the two CPAP cleaners are very different as well. Below is a side by side evaluation of how these devices are dissimilar. The VirtuClean and the SoClean 2 are as dissimilar as they are comparable. These devices are both CPAP cleaners, and each unit has similar types of sanitization chambers. Both machines can disinfect your CPAP’s mask, tubing, and water reservoir. Your HSA or FSA accounts can be used to get reimbursed for the purchase of either of these CPAP cleaners, but there is where the similarities end. Below is a side by side assessment of how the devices are dissimilar. Because keeping your CPAP mask, tubing, and water tank clean is vital to every CPAP user; a CPAP sanitizer is a critical piece of equipment for any person using a CPAP device for their sleep therapy to own. After reviewing the different CPAP cleaners and all that they have to offer, you are better able to decide which CPAP sanitizer will best suit your needs. All the devices can, without a doubt, help to create an easier and more convenient routine when it comes to keeping your CPAP equipment clean, and all are guaranteed to provide you with peace of mind that your sleep therapy is as hygienic and efficient as possible. Consider choosing a CPAP cleaner today so that you can enjoy a more comfortable and restful sleep. Now that you know the benefits of having one of these devices could offer you, choose one of the CPAP sanitizers that you think would best meet your needs. Let a CPAP sanitizer help make your life a little simpler and healthier at the same time. The Lumin is a healthy choice in CPAP accessory disinfection with a simple one-touch operation. The Lumin device may be used with all brands of masks and accessories.